I'm getting a little sick of this. The people who compile these baby-to-produce size charts should really be ashamed of themselves. There is absolutely no rhyme or reason to how these charts progress. Nevertheless, Jen entered week thirty-two today and since I started this idiotic pursuit I might as well finish it. Today, according to babycenter.com the babies were the size of jicama. 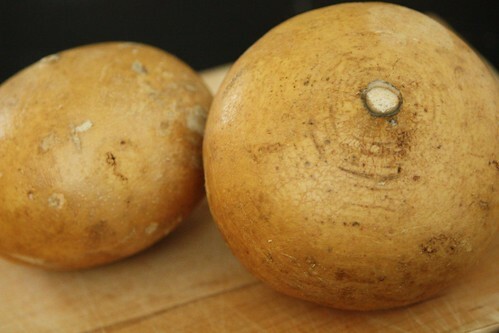 According to thebump.com they were the size of squash but since that's exceptionally vague I chose to go with jicama even though jicama are much smaller than cantaloupes which they were purportedly the size of three months ago! 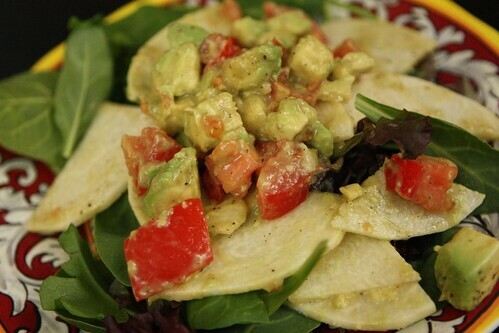 It may not make any sense but I do enjoy jicama so I quickly turned this jicama into a salad with avocado, tomato, lime juice, olive oil, hot sauce, salt, and pepper over mixed greens. 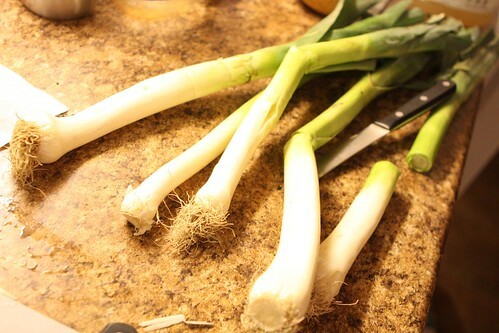 I purchased some leeks to caramelize for dinner but there was something wrong with them and my knife was unable to penetrate their woody core. I guess I could have used them for something and not have been so wasteful. Maybe they could have been stitched together to fashion a mean walking stick. 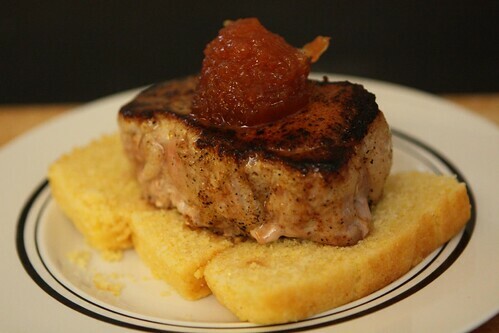 After throwing the leeks away I made a quick change of plans by serving this seared pork loin steak over slices of cornbread with a scoop of quince spread on top. This was probably better than it would have been with caramelized leeks anyway but I was still annoyed by their wooddy betrayal. 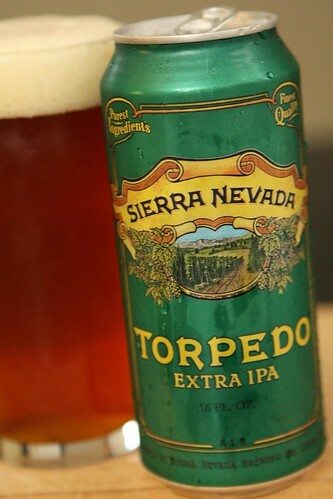 For beer I had this Torpedo from Sierra Nevada Brewing Co. I've been looking forward to this one for a long time ever since I learned that the basic process was them passing beer through a torpedo filled with hops to achieve the flavor. It was extremely aromatic and tasty, nowhere near as bitter as I'd expect after being passed through a hop-filled torpedo. 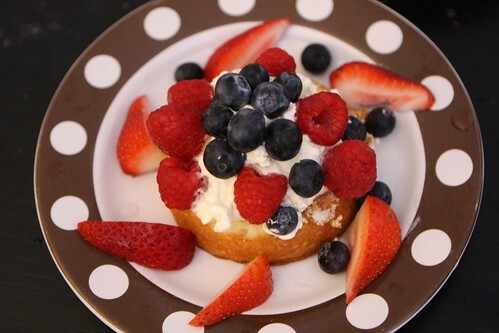 Since berries are in full swing already I served up some sponge cake with whipped cream, strawberries, blueberries, and raspberries. In the past couple of years I have continuously dropped the sugar levels in my whipped cream until I reached my current recipe which involved only cream. I wonder if the jicama-sized babies will grow up to find this level of sugar adequate. In my younger days I would have required approximately a one-to-one ratio of sugar to cream. Now I find sugar-free whipped cream an excellent accompaniment to cake and berries which are already sweet enough. It would probably be beneficial for the babies to eat slightly less sugar than I did as a child. I guess we'll have to see if their palates crave sugar naturally or if they are able to cope with a more sensible level of sweetness. Only time will tell. Luckily in one week's time they'll have blossomed back to the size of honeydews, approximately the same size (and sweetness) they were twelve weeks ago. Ah, the miracles of expanding and contracting fetuses. Soup and Salad . . . in ONE!